GST bill passage though has a high probability but may face opposition in Rajya Sabha as Govt does not have majority in the said house and thus it need to get all parties together on the front. Nonetheless, just to keep the message short and crisp that one should be ready for the eventuality that if GST bill is passed we should avoid following sectors or must exit if holding as these sectors are likely to experience negative trend with passage of GST bill. However; Modi govt will have to do some real jugglery act to get the bill passed as Congress can act as a big stumbling block in Rajya Sabha. 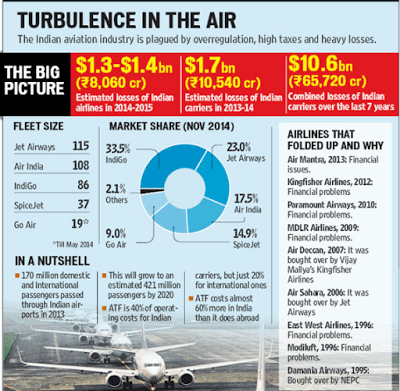 (a) Aviation : We have been holding negative view for aviation sector for quite some time. However, with negatives comes positives too and the 4 sectors likely to benefit with GST bill can be explored and still if you wanna make money without any worry than consider going with our day trading tips.